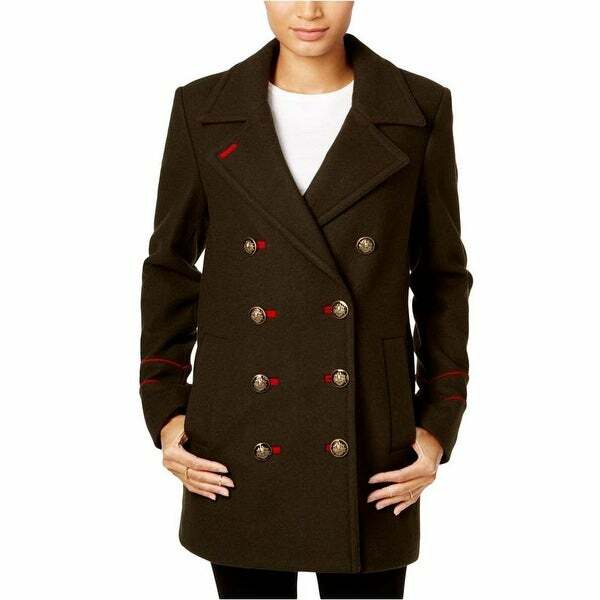 BCBGeneration Women's Olive Wool Peacoat. Double-breasted button closure at front; embossed buttons with contrast buttonholes. Lined. 2 pockets. Wool/polyester/acrylic/rayon; lining: polyester. Dry Clean.